sailboat. 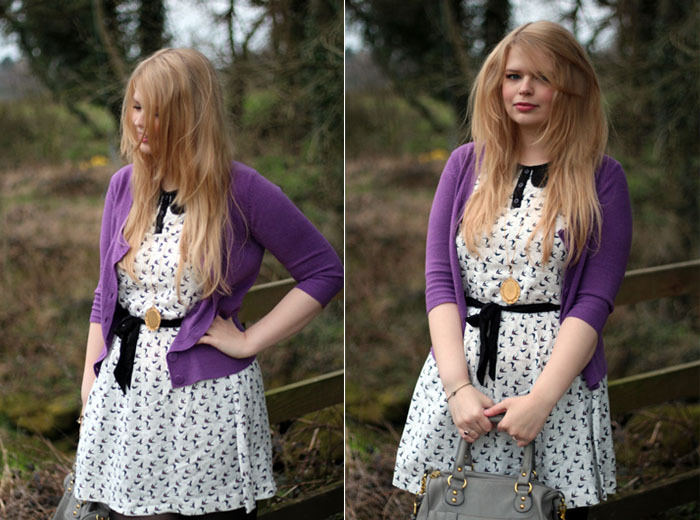 : What I Wore: Sweet Swallow Print Dress from Brat & Suzie. What I Wore: Sweet Swallow Print Dress from Brat & Suzie. Coat: Primark. Dress: Brat & Suzie ♦ Cardigan: George at Asda. 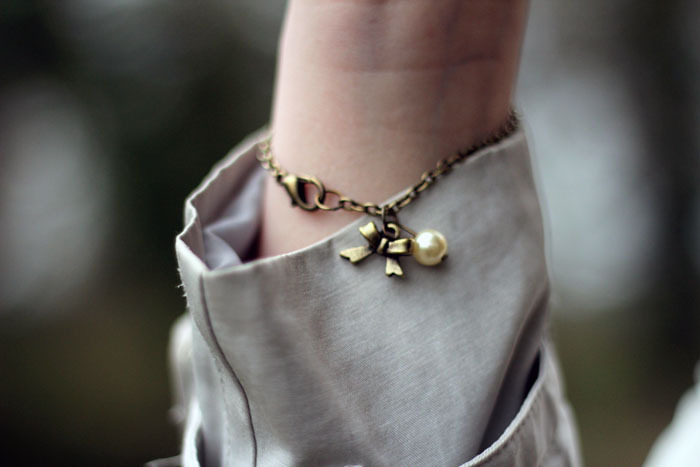 Necklace: Temporary:Secretary ♦ Bracelet: Sailboat Ahoy. Bag: ASOS. Tights: Primark. Shoes: ASOS. Heart Ring: Scape Jewellery. Ruby Ring: Studio 59. This sweet little dress from Brat & Suzie has had quite a journey, which almost seems appropriate considering it’s adorable little swallow print. I have Sarah from Temporary:Secretary to thank for this newest addition to my wardrobe after she thought of me when she discovered the dress wasn't quite right for her. Sarah is one of my absolute favourite ladies in the blogging world so I was extremely honoured that she thought of me! Versatile pieces like this are always amongst my favourite items in my wardrobe because it's so easy to style a whole range of outfits around them. 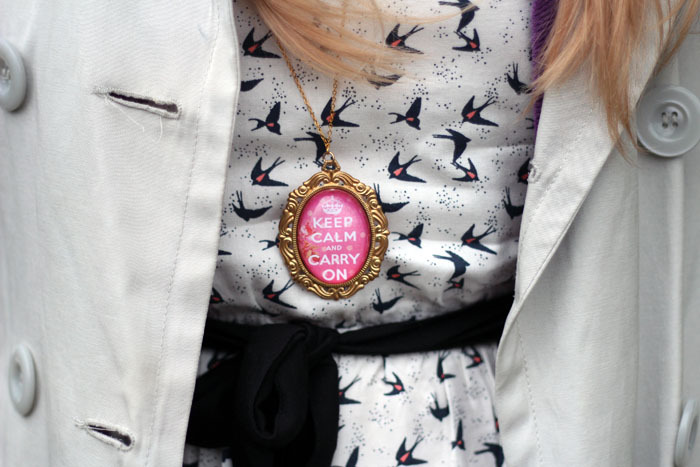 This time I chose to pair it with a pastel purple cardigan because I'm so excited for the spring time, my adorable pastel pink Keep Calm & Carry On necklace from Sarah's jewellery shop and my trusty trench coat. I have said it before, but I really do love trench coats. They're perfect for the spring because they're not too heavy and this light grey shade manages to look lovely with every colour I can think of. 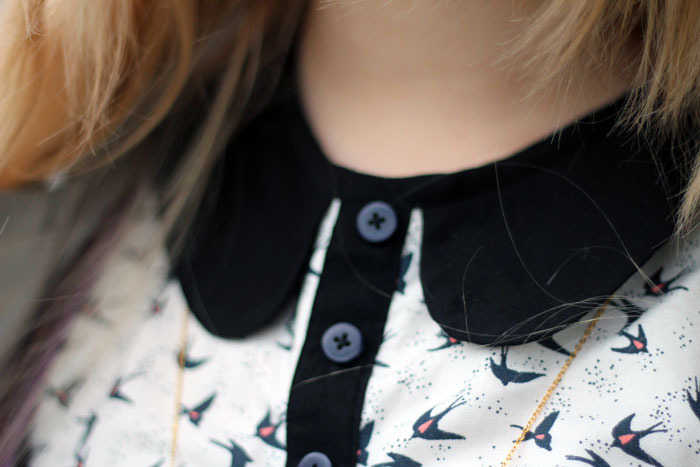 The cute peter pan collar is a lovely added detail as are the three little buttons. They're simple details but I really do think they make all the difference. Have you ever purchased anything from Brat & Suzie before? After having a little browse through the website I have already spotted some sweet pieces that I would love to add to my wardrobe, especially this Boston Dog Dress & this adorable Bunny Dress! Gorgeous dress! 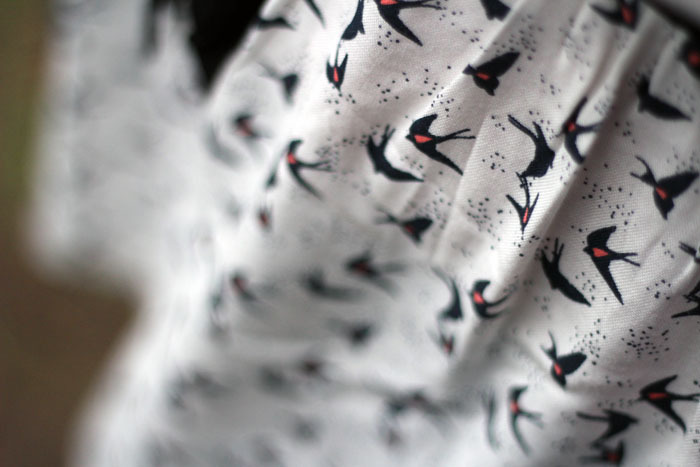 I love cute prints like that and I have a T shirt in a really similar one! I just bought the Boston Dog dress which should be here any day now. It's lovely! Love the dress, it really is very cute! And the necklace is sweet too. You're so gorgeous! Absolutely love this dress! I must say though, I would love to know how you do your hair! It always looks so full and amazing! Love it! Your bracelet is so cute, definitely be checking out your shop! aw you look really pretty, your hair is amaze, Goldilocks!! Your hair is beautiful Jennie. As are you of course. Ralphie's Diary #5: The Best Carrot Patch Ever! Make Up: Revlon Lollipop Lip Butter. What's in my Make Up Bag featuring Clippy London. Make Up: Natural Peachy Tones. Five Things & Five Blogs I Love Friday 032. Ralphie's Diary: #4 Thursday Morning Cuteness. Five Things & Five Blogs I Love Friday 031.
Review: Enrapture Encode Totem Styler. March GlossyBox: The Harrods Edition. Make Up: Face of Today! Say Hello To Little Bailey! Five Things & Five Blogs I Love Friday 030.